Available for May Long! 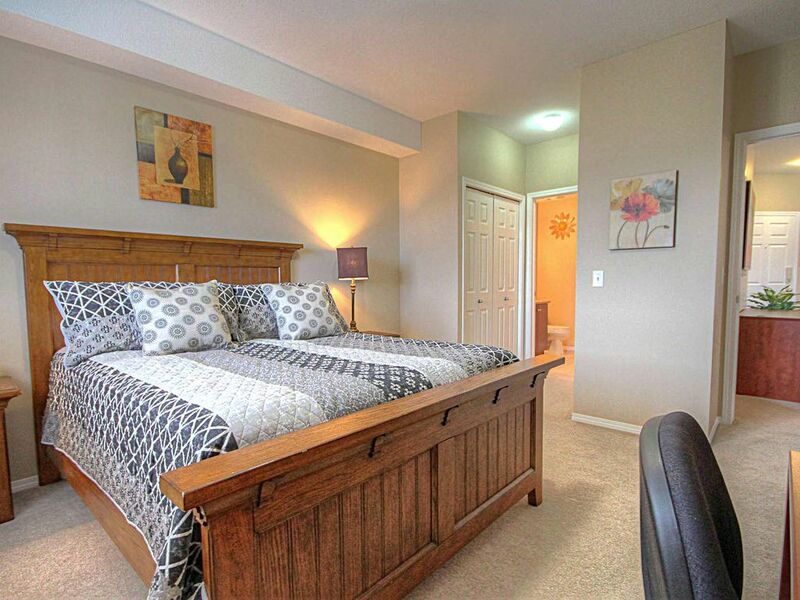 Beautiful 3 Bed 2 Bath Golf Course Condos. This 1350 sq.Ft. 3 Bedroom 2 Full Bathrooms suite is situated on 2 championship golf courses - The Bear and The Quail. • Bedding: Master: 1 queen bed | Bedroom 2: 2 twin beds (or 1 king) | Den: 1 queen bed | Living Room: 1 queen sofa bed. These suites are decorated, furnished and accessorized to the highest standards and feature 3 bedrooms and two bathrooms. The second bedroom features two twin beds that can be converted to a king upon request. All bedrooms feature TV's. The third bedroom features a queen sized bed. The Living room/ dining room area are large and roomy with large windows making for a very bright and cheery atmosphere. Living room features queen sized sofa bed. We have stocked the entire suite with everything you could possibly need in order to provide you with optimum convenience so you can just start relaxing from the moment you arrive.